Leaking faucets, damp cabinets, rocking toilets or dripping refrigerators all signal problems that need prompt attention. A leaking faucet isn’t just annoying; the moisture it releases puts wear on sink fixtures and can encourage the growth of mold and mildew. Stay on top of problems to keep the household clean and dry. When in doubt, call or email Taylor Home Services. Should plumbing fail, make sure you know how to stop the flood! Locate the main shut-off valve for the home water supply. If it’s in a dark, hidden, or hard-to-reach place, gather any tools you’ll need for a quick shut-off, and store them nearby. Also, be sure to locate the main sewer valve. As winter approaches, make sure that pipes in drafty or exposed places are insulated. It’s a peel-and-stick solution! Make sure that you maintain a heat level of roughly 55°F in areas that have access to it; it will help prevent pipes from freezing. 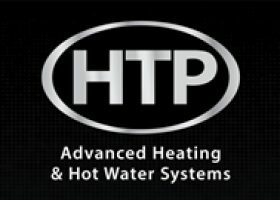 If pipes do freeze, call or email Taylor Home Services. Hand-washing dishes may feel authentic, but it’s wasteful; automatic dishwashers use less hot water and energy than washing by hand. No need to rinse, either; most modern dishwashers are designed to remove food without need for pre-rinsing. Household toilets can be water hogs; replace older models with low-flow alternatives. Keep showers short and sweet to stay sustainable. You can also save water — and money — by installing a low-flow shower-head, which uses up to 50 percent less water than older models. Sink faucets can also be replaced with low-flow models. For any large or minor project, Taylor Home Services is here to help.